The outer walls of the temple of Edfu, which date back to the pyramid age, speak of Zep Tepi, or the First Time of the Gods, whose kings were the Neteru (Neters or Gods). Zep Tepi, the First Time, the time of the very first prehistoric Egyptian civilization, was founded by Seven Sages, say the walls, divine beings who came from "the Homeland of the Primeval Ones," an island that sank during a catastrophic flood. 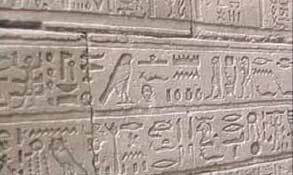 The Seven Sages inaugurated a new, prehistoric Egyptian civilization from which the later historic civilization was derived. 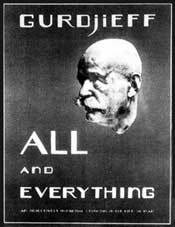 In his initiatory text, All and Everything, Gurdjieff speaks of Zep Tepi and the sages (using different terms) and the sinking of their island home. 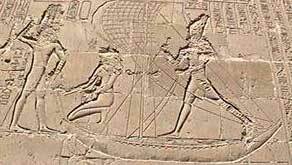 Did he learn this here at the Temple of Edfu or further north when he ended his journey at the headwaters of the Nile? The parallels are striking.